Streptococcus equi subspecies equi (S. equi), causes potentially fatal respiratory disease in horses, and Streptococcus equi subspecies zooepidemicus (S. zooepidemicus) causes potentially fatal infections in humans. A study was undertaken to determine the survival of these organisms in equine compost. 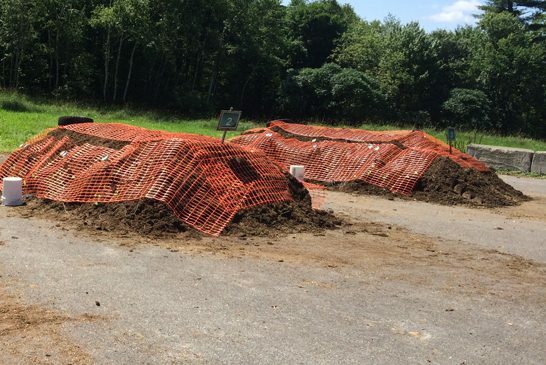 Compost piles of equine bedding and feed waste were inoculated with S. zooepidemicus and samples taken at 48, 96, 168 and 336 hours relative to placing samples 0 hours. No streptococci were isolated at or after 48 hours. Next, S. equi was similarly inoculated into equine compost, and sampled at 2, 4, 8, 12, 24, 48, 168 and 336 hours. No streptococci were isolated. To rule out killing of streptococci by microflora in equine waste, samples of soiled bedding, both autoclaved and un-autoclaved (with moisture added) were inoculated with S. zooepidemicus and sampled at 0, 6, 12, 24, 48, 72, 120, 168 and 264 hours. In autoclaved bedding, S. zooepidemicus was isolated from 0 – 120hours, but replaced by other flora at 264 hours. In un-autoclaved samples, streptococci were not present after 48 hours. A repeated trial with S. equi yielded similar results. This data suggest that microbial activity of equine waste bedding may eliminate streptococci within 24 – 48 hours.